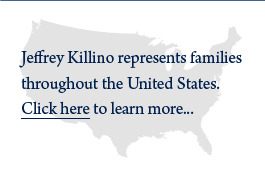 Child injury lawyer Jeff Killino is dedicated to holding those who have caused children’s injuries or deaths responsible for their actions regardless of where in the country these injuries occur. If your child has died or has been injured as a result of a defective children’s or other product or someone’s negligence, Jeff Killino and The Killino Firm of child injury lawyers will bring their considerable experience and expertise to bear in the pursuit of justice for you and your child. Children suffer injuries and wrongful death every day as a result of someone’s negligence or a defective product. Whether your child’s injuries have been caused by medical malpractice, a playground or amusement park accident, or negligent childcare, our child accident and child injury attorneys will go the extra mile to uncover the causes of your child’s injuries and seek every bit of the compensation to which you and your family are entitled for your child’s injury or death. Amusement park injuries can turn a day of fun and relaxation into a tragedy a family may never forget. Amusement park injuries and deaths may be caused by the negligence of park workers, defects in rides or dangerous conditions on park grounds, understaffing, or poor maintenance. Whatever the cause of your child’s amusement park injury or death, our amusement park injury attorneys will fight to hold every party responsible for your child’s injury or death accountable. Children’s bicycle accidents may be caused by many things, including the negligent maintenance of bike paths, defects in bicycles, and the negligence of drivers of motor vehicles. Bike accident injuries may also be enhanced (worsened or increased beyond what they might have been) as a result of a defect in a bicyclist’s helmet. Our bicycle accident attorneys have experience with all sorts of bicycle accidents, including those resulting in serious injury or death, and will do everything in their power to achieve justice for your bicycle accident injured child. Car seats are meant to provide a measure of protection to children who are involved in car accidents or crashes. Yet, these seats are often recalled for defects that threaten children’s safety. When a child’s car accident injuries are enhanced as a result of a defective car seat, the car seat manufacturer and others may be held liable for the child’s injuries or death that were caused by the car seat defect. Our car seat injury attorneys understand the law and issues peculiar to car seat accident cases and will employ their expertise and experience to obtain the compensation to which you and your child are entitled. Children may sustain brain injuries at childbirth, through negligent medical care, or any number of accidents. Brain injuries may occur from falls, non-fatal drowning, amusement park or playground accidents, and other accidents that result in a lack of oxygen to a child’s brain, blows to the head, or an excessive shaking of the brain inside the skull. The proof of causation in certain types of brain injuries can be extremely complex, requiring legal representation by child brain injury attorneys, such as those at our child injury firm, with expertise and experience with these complicated cases. Many adults and even more children are unaware that any dog can bite. 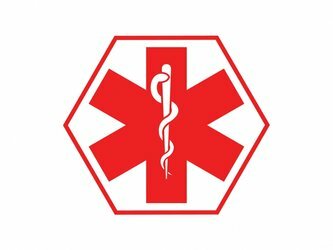 Some dog bite injuries may cause serious injuries or even death to a child. Our child dog bite injury attorneys will handle your child’s case with compassion and the dedication and perseverance we would employ if one of our own children had been the one who was injured. Crib injuries and deaths can occur as a result of negligent supervision by caregivers such as babysitters or nannies, defects in a crib in which a child is placed, or toys and children’s products that can be reached by children while they are in their cribs and that can cause them injury or death. Our crib injury attorneys know the law of negligence and product liability and will do everything in their power to see that negligent caregivers and the manufacturers of defective cribs are held liable for the crib injury or death of your child. Daycare centers and their employees have a duty to exercise reasonable care for the safety of the children who have been entrusted to their care. When a daycare center employee is negligent in the supervision of a child, the employee as well as the center itself may be held liable for the injury or death of a child that is determined to have been caused by the employee’s negligence. Our daycare injury attorneys have extensive experience with all types of daycare injuries and will fight to see that those responsible for your child’s daycare injury or death are held accountable through legal action. Drowning accidents can result in non-fatal as well as fatal injuries. Non-fatal drowning may cause serious long-term injuries, including brain damage. The owners of hotels and other establishments with pools in which children are allowed to swim may be held liable for children’s drowning injuries and deaths caused by the owners’ negligence. The owners of premises on which pools or other bodies of water are located may be liable for fatal or non-fatal drowning of children if the owners failed to take precautions to prevent children from gaining access to the water. Our drowning injury attorneys have handled a wide variety of drowning injury cases and are well versed in the laws of premises liability and others through which responsible parties may be held liable. Playground injuries often result from the negligent maintenance of playground equipment or grounds or the negligent supervision by caregivers of children while they are on a playground. Defective playground equipment may also be found to have caused a child’s playground injury. Regardless of the cause of your child’s playground injury, our playground injury attorneys will identify the cause and the parties responsible and fight to see that you are fully and fairly compensated for your child’s playground injury or death. School bus accidents may be caused by a number of things, including the negligence of school bus drivers, the negligence of other drivers, and defects in a bus or another vehicle involved in an accident. In addition to a negligent school bus driver, the company that employs a negligent school bus driver may be found liable for a child’s school bus injury or death that is found to have been caused by the driver’s negligence. Negligent maintenance of a school bus by a company employed to maintain the bus may result in liability on the part of the maintenance company. Our school bus accident attorneys have developed experience and expertise with these and myriad other types of school bus accident cases and will put that experience to work in bringing those responsible for your child’s school bus injury or death to justice. Some of the saddest child injury cases involve children who have been injured or killed by their own toys. Despite strict federal regulations regarding the manufacture of certain types of toys, toys that pose serious dangers to children’s safety too often reach the market and our homes. Attorney Jeff Killino and his team of toy injury attorneys have gained national recognition for their passionate dedication to holding the manufacturers of these toys responsible for the injuries and deaths they have caused to innocent children. In one case, our team was responsible for an order requiring toy manufacturer Mattel, Inc. to provide free lead testing to children who may have been exposed to lead-containing toys. We will invest the same energy and dedication to gaining every bit of compensation to which you and your child are entitled for your child’s toy injury or death. Fill out the form below and an attorney will get back to you shortly. If you need immediate assisatance, call (877) 875-2927.